The simple fact is that step aerobics has stood the test of time because it is very effective. At the heart of why so many love step aerobics is that step aerobics is low impact and achieves great results. High impact forms of cardiovascular have their benefits, but they also come with some risk of injury to joints, ligaments and muscles. Once injured, your clients are on the sidelines waiting to recover. In addition to that being counterproductive to their goals, it means they are no longer paying clients! That is why step aerobics are a great option for both clients and personal trainers. Another tremendous benefit of step aerobics is that it provides personal trainers with the ability to boost earnings, often dramatically. Instead of working one-on-one with a single paying client, you are instead able to work with numerous clients at the same time. You earn more while your clients receive a safe and highly effective cardiovascular workout. Your clients who need to lose weight or must opt for a low impact cardiovascular workout will love step aerobics. 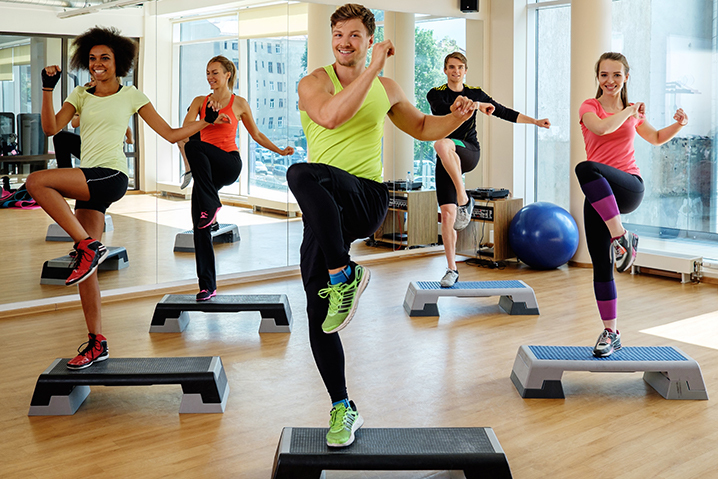 Earn your step aerobics certification and you’ll have a new way to engage and train your clients! Our Step Aerobics Certification Online Course is completely, 100% web-based and this comes with an array of important benefits. Thanks to our industry leading 100% online certification approach, you study when you like and completely at your own pace. There are no classes, ever. We offer 24/7 instant certification as well as free retake exams whenever you like. Boosting your success and the success of our clients is what we do best. The Personal Training Certification Institute is here to help you continue to build your client list and your success. Personal training certification has never been like this!